Everybody has the occasional lapse in concentration, everybody has the odd “what was I thinking?” moment now and then. These can be costly when driving, namely in the way of points on your license, hefty fines and even bans. Of course there are certain incidents which can’t be prevented, but there are a lot of dumb ways to get caught out. We’ve made a list to remind you of a few things not to do. Here are our top five. 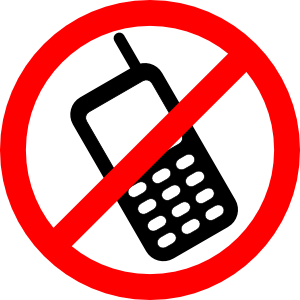 Don’t Use Your Phone This one goes without saying. There really is no excuse for being on the phone while driving, especially when hands free kits are so inexpensive and readily available. It’s actually a bit of a challenge to have your phone in one hand and use the other for both steering and gear changing, and if you get spotted the bacon will pull you over faster than you can hang up. More importantly the distraction could mean you miss something, or are delayed in reacting and you could end up with a lot more on your conscience than the guilt of ignoring your birds phone call. Even a lot of used cars have bluetooth functionality these days. Use it! 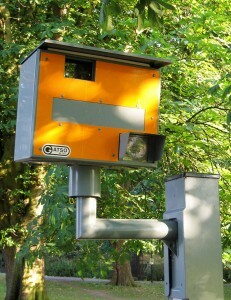 Watch Out For Speed Cameras Another no brainer, but it’s incredible just how many people still get flashed every day by those dreaded yellow boxes. If you’re not familiar with the road you’re driving down, make sure you look out for the limit signs before you put your pedal to the metal. 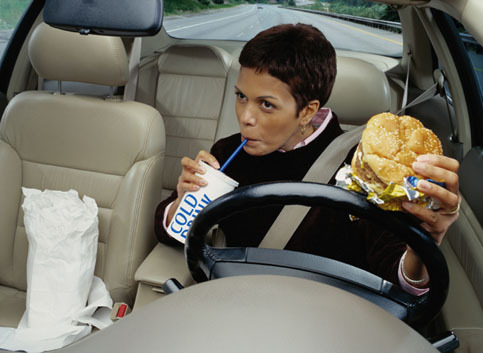 This one may sound a little silly, but if you’re caught snacking while on the road you will get pulled over and could face a fine. Save it for later or pull over for your tasty treat. Before you get in your vehicle, particularly before long journeys, make sure you have had enough rest. It’s not uncommon for tired drivers to momentarily fall asleep, which is needless to say incredibly dangerous. 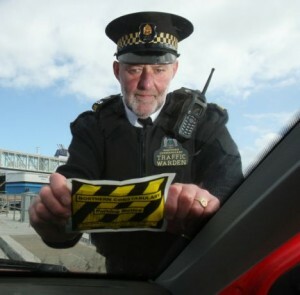 Probably one of the most frequent and the most annoying one to get caught out on – parking fines. There are many residential roads that may look no different from any other, but look a little closer and you’ll spot the tiniest of signs outlining that parking is not permitted for non-residents. It doesn’t matter if you only have a little Mercedes A-Class, you’ll come back to a fine sitting on your windscreen.